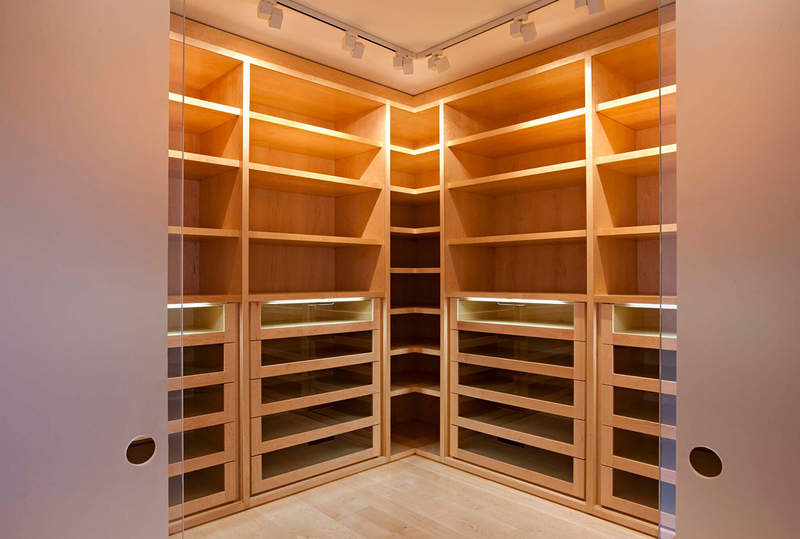 Having produced over 50 walk-in wardrobes, we consider ourselves to be experts at creating the ultimate closet and storage space. 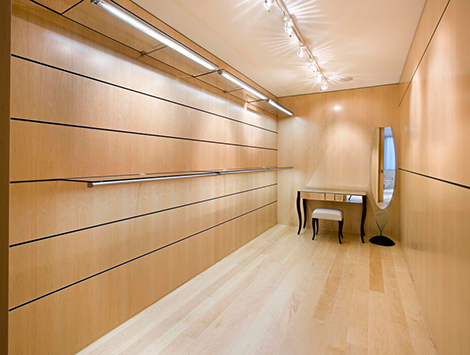 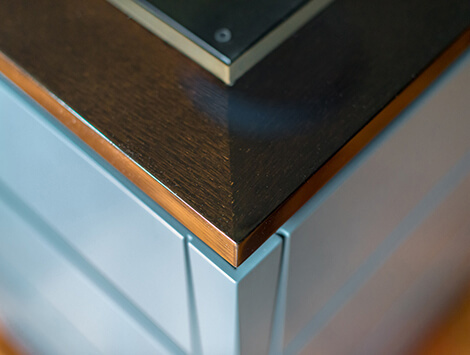 From exotic timber veneers, to integrating materials such as leather and glass, we offer a huge selection of variations and configurations. 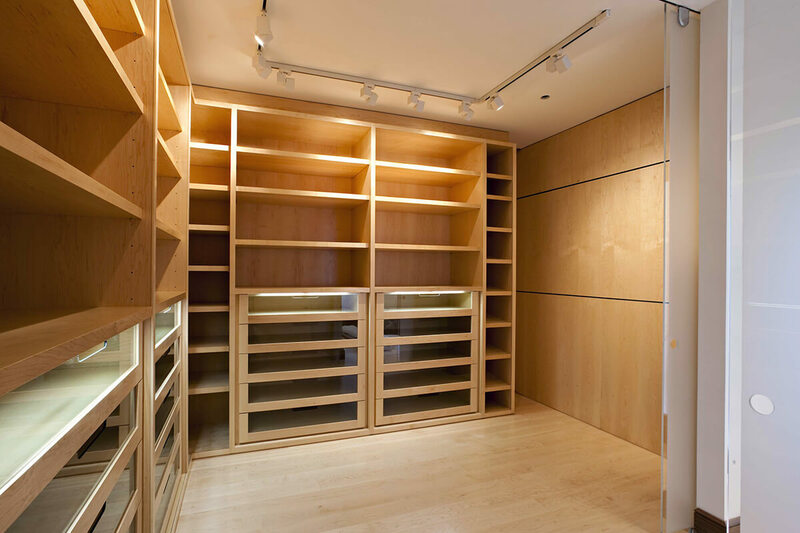 From flexible shop-fit style fixtures, to wardrobes designed specifically to house a 200+ shoe collection or a bespoke cabinet to display a client’s watches – it is all possible. 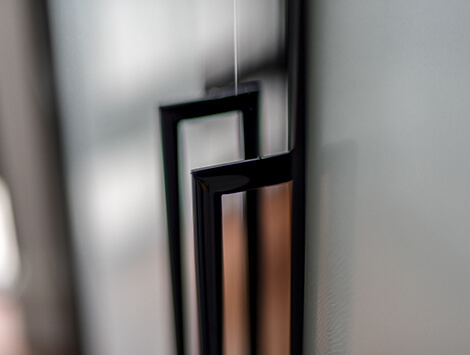 Visplay hanging systems for flexible configurations. 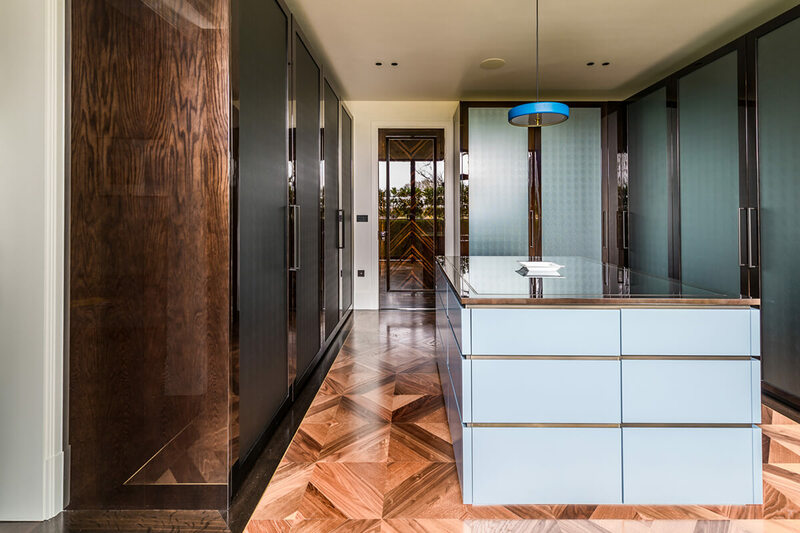 Glass sliding doors and contrasting timbers. 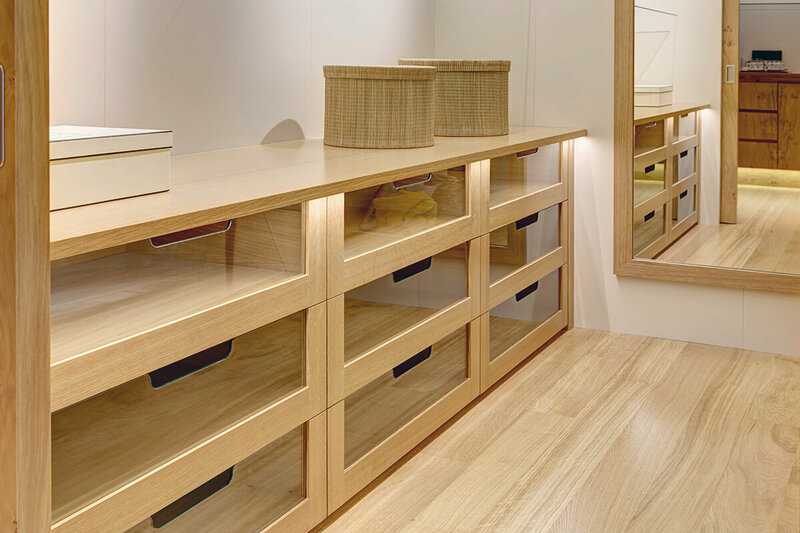 Central island unit with bespoke storage beneath. 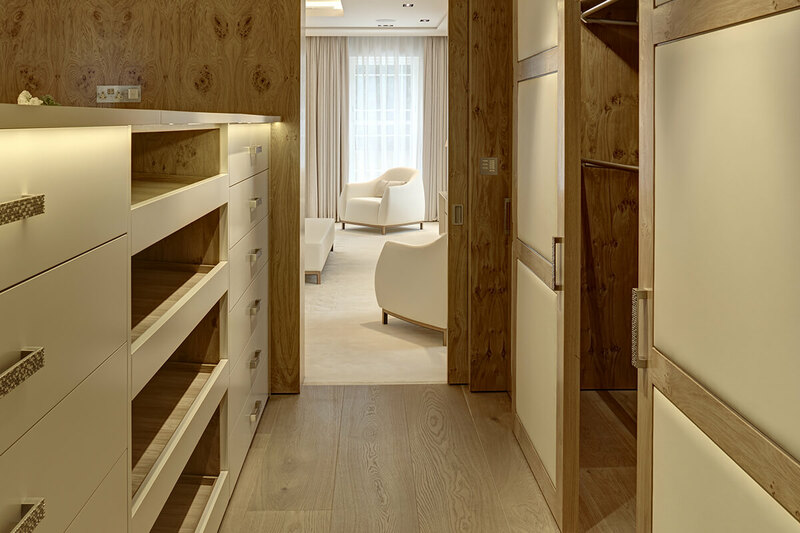 Padded leather door panels and oak interiors. 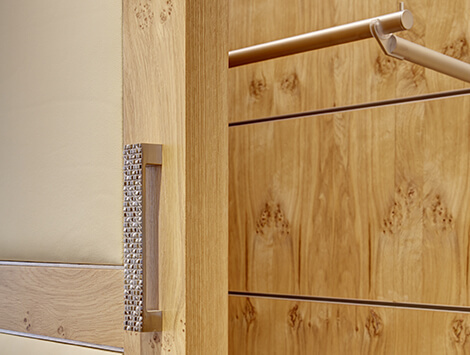 Choose from handles in a range of styles. 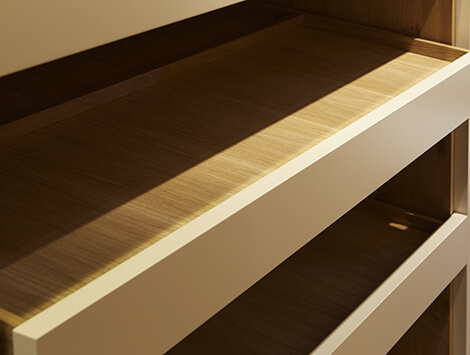 Drawers in a variety of heights to store shoes and boots.